The restaurants, cheap eateries in Halong are countless, from luxury to popular and cheap ones. 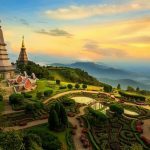 Recognizing that the information about must-visit restaurants on the way from Hanoi to Halong Bay is extremely useful for readers who are planning to travel in Halong, we have summarized the best addresses for tourist. On the way from Halong Bay to Hanoi, you can eat in the Hon Gai area or Bai Chay tourist area. 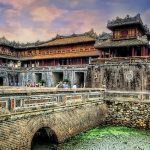 However, according to our experience, tourists often choose Bai Chay or Hong Gai area. In general, both areas have good restaurants, but the price in Bai Chay is often higher. Eating in Tuan Chau is also expensive, so you can choose Hon Gai. If you come to Bai Chay area and choose a motel or hotel in Peach Garden Area, you can choose a restaurant near seafood night market. To choose popular restaurants, you can go to Vuon Dao district, but the dishes in this area are not delicious. The food in Bai Chay is quite much but not good. If you want to save money, you can choose eateries in the small alleys or go to Hon Gai area which has many good restaurants. From Ben Doan, you ask the way to find the enclave along the bay with many eateries and restaurants. Usually, there are very few tourists eating here because it is not popular. 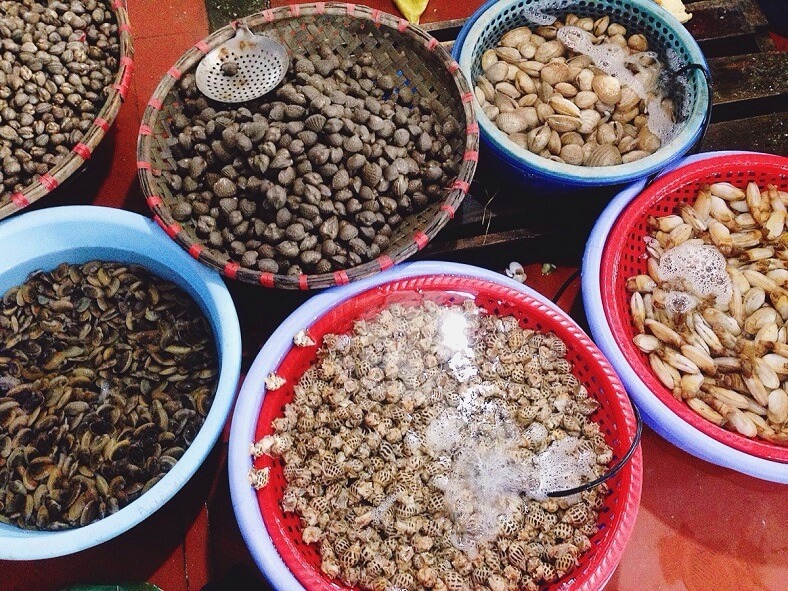 If you want to choose places to enjoy cheaper seafood than that in Peach Garden area, you can go to Cai Dam market which is known as the most famous seafood market in Halong. 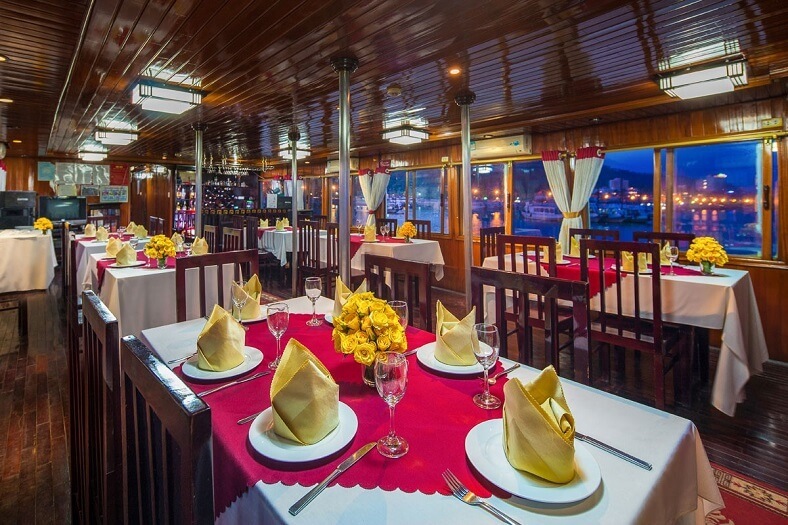 Enjoying seafood on the floating restaurant is one of the most popular options to enjoy the delicious seafood in Halong you should not ignore. The interesting thing is that you can choose fresh seafood which is being raised in cages under the sea. Then the restaurant will process according to your requirements. The difference is that a meal here will cost higher than other places. Before coming back from Halong bay to Hanoi, you have to try at least once to enjoy the delicious seafood on Halong cruises. 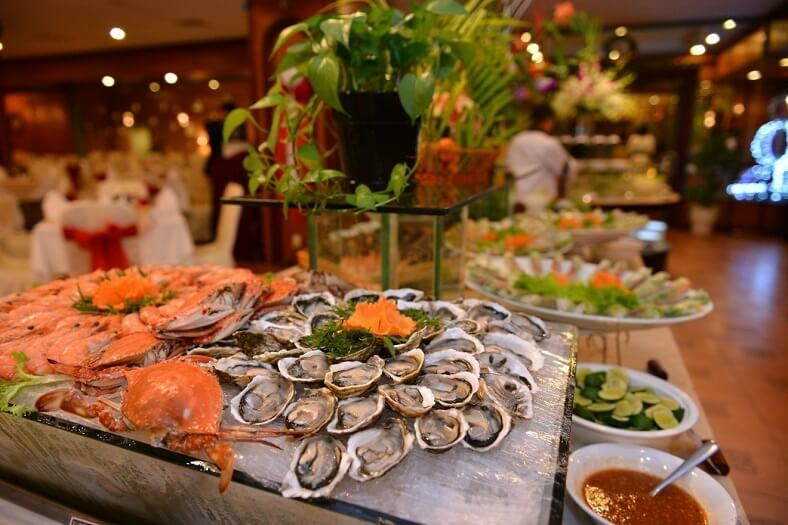 Besides admiring the beautiful scenery of Halong Bay, you can go on luxury yachts and enjoy delicious seafood here. Normally, the meals on cruises will include the main seafood such as fried squid, grilled Geoduck and steamed clam. The price ranges from 120,000VND to 200,000VND/person (5.5-9$). Above are some recommended places to enjoy Halong seafood before you come back to Hanoi. We hope that it will be helpful for your trip.